Trailer and Mercury 150HP included in price. 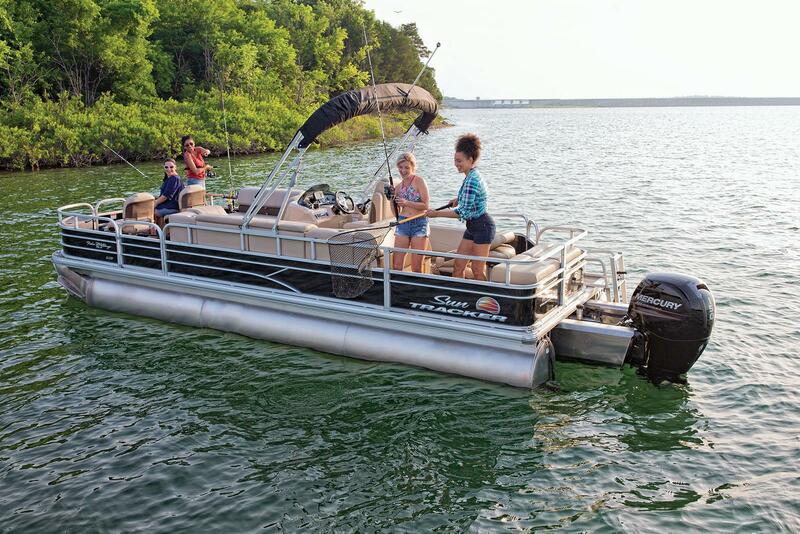 With three high-performance pontoon logs, complete with lifting strakes, the PARTY BARGE 24 DLX XP3 ensures your time with family and friends is more fun and exciting than ever! 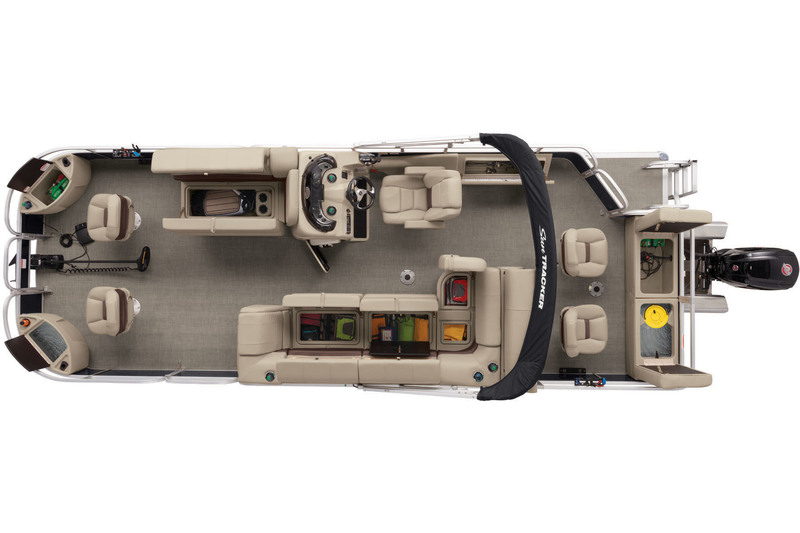 Along with the log design, this boat also comes standard with a factory matched 150-horsepower Mercuryï¿½ outboard for plenty of high-flying fun. But itï¿½s not just for the daredevils in your crew! Four gracefully rounded couches provide the most comfortable viewpoints to all the action. 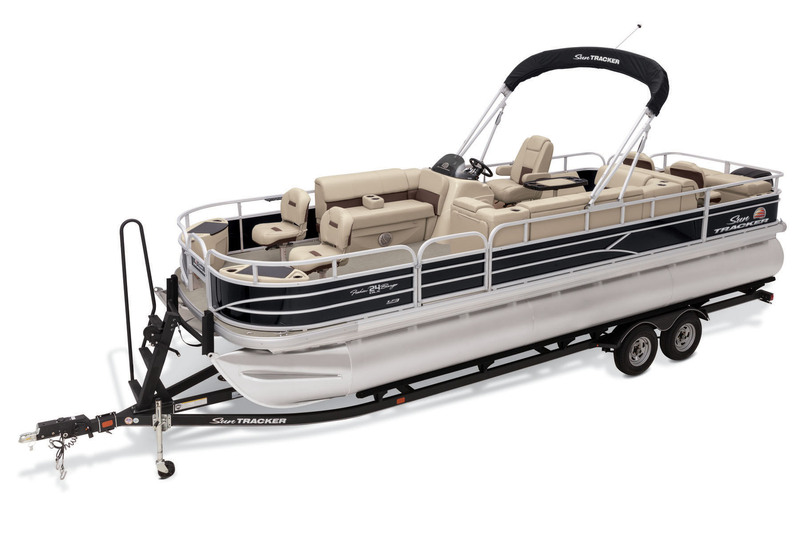 Plus, the PARTY BARGE 24 XP3 also comes with a pop-up changing room and full-width aft swim platform for getting ready for your turn on the water. Other amenities include plush carpeting throughout, a serving table and even courtesy lighting to extend your fun after dark! Max. person weight: 2350 Lbs. The impressively spacious and outfitted FISHIN' BARGE 24 XP3 provides everything a crew of up to 12 people need to get off the land and onto the water for a day of fishing fun. For one, it's 26' 2" long and 8' 6" wide, providing more room for moving around while you work a fish. And speaking of fishing, it offers two fishing decks, each with rod storage, an aerated livewell and two fishing chairs. 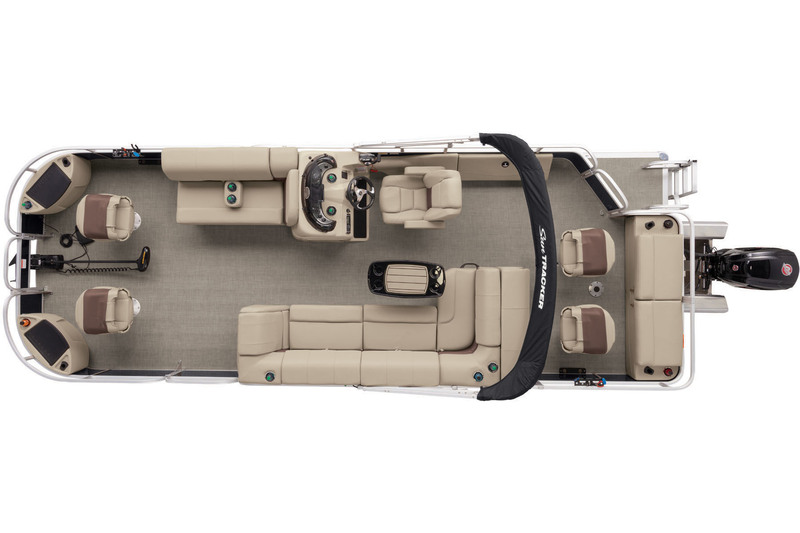 And when you're not fishing, there's more seating midship for lounging under the Bimini. Underseat storage and the Stow More seat-back storage offer more spaces for stowing all the gear. 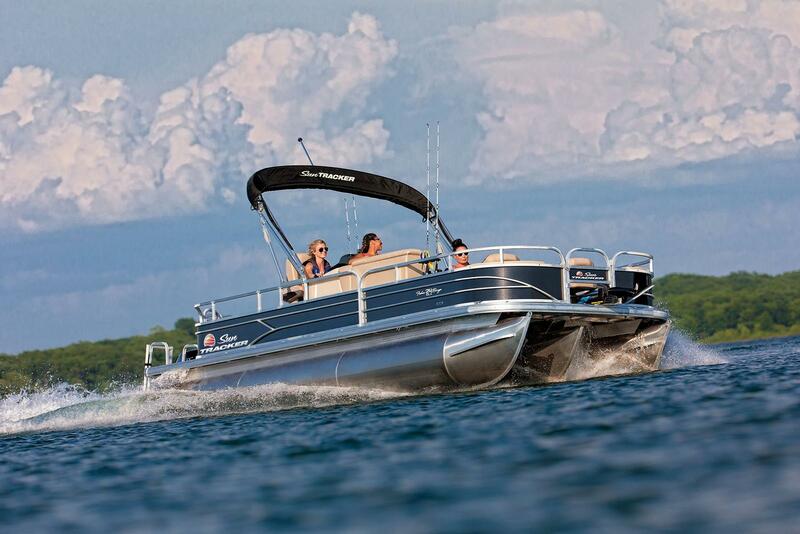 And thanks to the three-log XP3 package, the FISHIN' BARGE 24 XP3 is rated for up to 250-horsepower, providing more performance for cruising and watersports. All for more memory making! Max. person, motor & gear weight: 3000 lb. Max. person weight: 2100 lb. Average dry weight: 2960 lb. Average package weight: 5284 lb. Towing length: 34 ft. 6 in. Storage length: 34 ft. 6 in.